Unlike dogs who can be trained with relative ease to urinate and eliminate in specific areas (i.e., not on the carpet or furniture), cats don't take orders so easily. Fortunately, their nature has done a certain amount of training for you, and with the right resources your cat will take care of its waste on its own! Cats naturally try to find a spot to dig before doing their "business," and providing a soft, clean litter and durable litter box fits the bill perfectly. Efficient, ergonomic scoops and pan liners and filters allow you to keep your hands clean and make refreshing your cat's litter area a breeze. Pet Mountain's Cat Litter store features top quality products that meet all of your feline friend's needs. 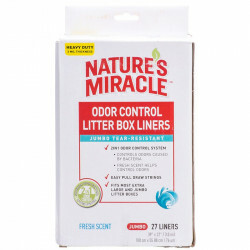 We carry litter and accessories from the most trusted names in cat care, including Purina, Nature's Miracle, Arm & Hammer, Van Ness, Petmate, and more. To start preparing your cat's litter area, you'll need a quality, durable Litter Box or Pan. Pet Mountain offers tough pans, high-sided boxes, and even enclosed pans to meet the needs of your cat and your home. Cleaning up a mess is always much easier if you've planned for it first, and our Cat Pan Liners and Filters make the perfect solution. 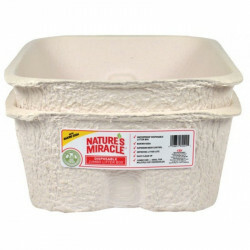 Adding a litter liner into your pan first makes cleaning up and replacing the litter so much easier! 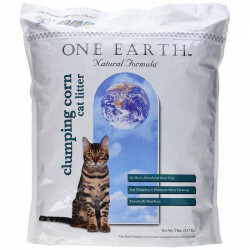 Next you'll want to pick from our line of quality Cat Litters. Whether you need odor controlling litter, clumping litter, no track litter, or extra strength litter to handle multiple cats, we've got the perfect solution for you. 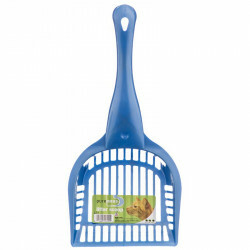 A high quality litter scoop or wipes will make your life so much easier when it comes time to sift the litter and get rid of your cat's waste.